New Jersey does it again – The state responsible for creating the de facto standard set of rules for professional mixed martial arts across North America, sanctioning bouts back when mainstream America didn’t think of Martial Arts as a sport, just pioneered an MMA and Muay Thai Hall of Fame inducting the state’s most important contributors to these sports. 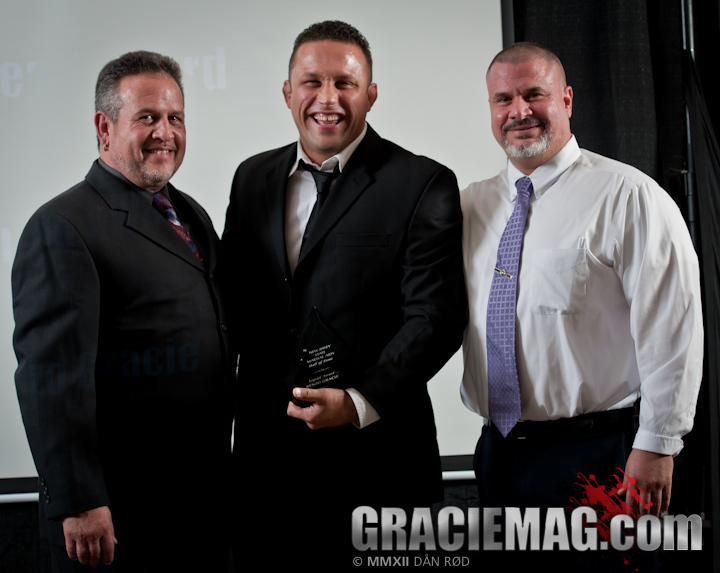 With a strong tradition in MMA, New Jersey houses quite a few martial arts VIPs, many of them recognized during the awards ceremony. 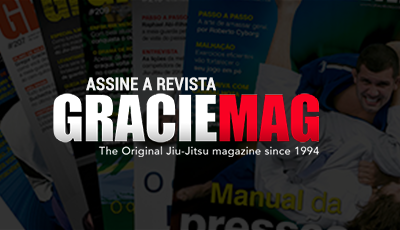 Some names are quite well known in the Jiu-Jitsu community as well, since their contributions started with a gi on the tatami. 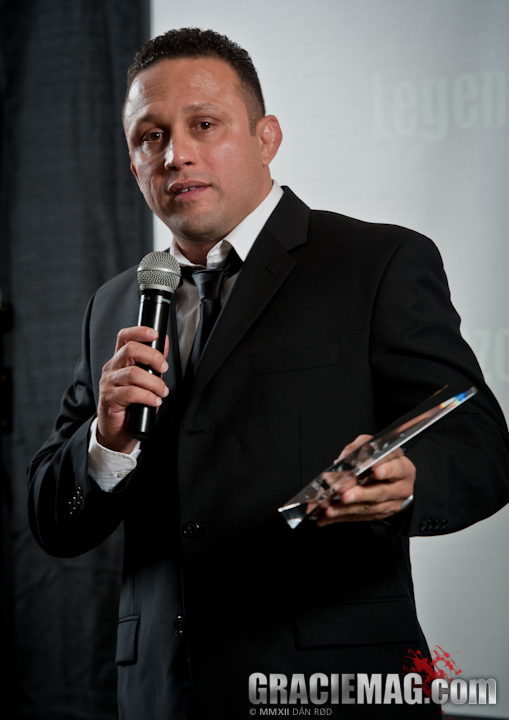 Such is the case of Legend Award recipient Renzo Gracie and MMA Judge of the Year Ricardo Almeida. We caught up with Renzo during the festivities to get his thoughts on being officially declared a legend but he is not ready to rest on his laurels just yet – he is getting ready for a fight! Check out the interview below. The event was a dinner gala that took place at the Crowne Plaza Meadowlands Hotel ballroom on Friday December 7, 2012 and was organized by Dead Serious Promotions and the Fighting Perez Family. After the dinner and awards the guests took the time to do a little dancing, this time without throwing punches at each other. 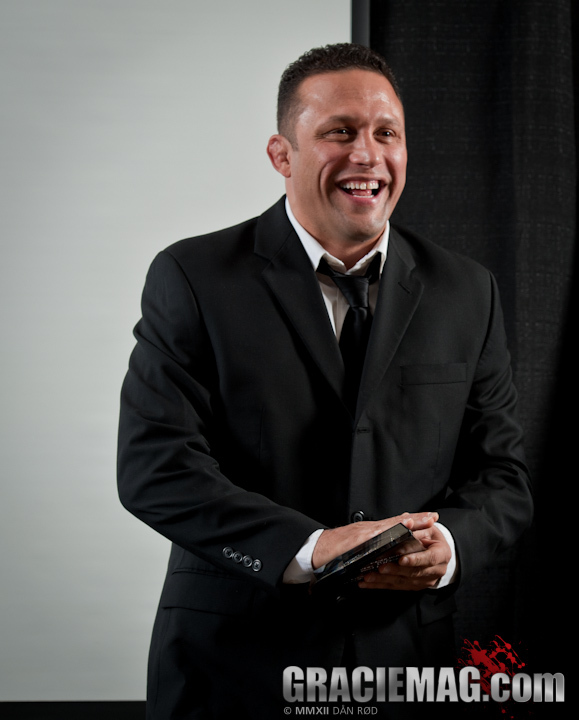 Renzo, how do you feel after winning the legend award for the first ever N.J. MMA Hall of Fame? Initially I thought this was an award they gave to old people. And it’s funny because Nick Lembo [N.J. State Athletic Control Board Legal Counsel] began his speech with “This started this way and I didn’t know where it was gonna end up. 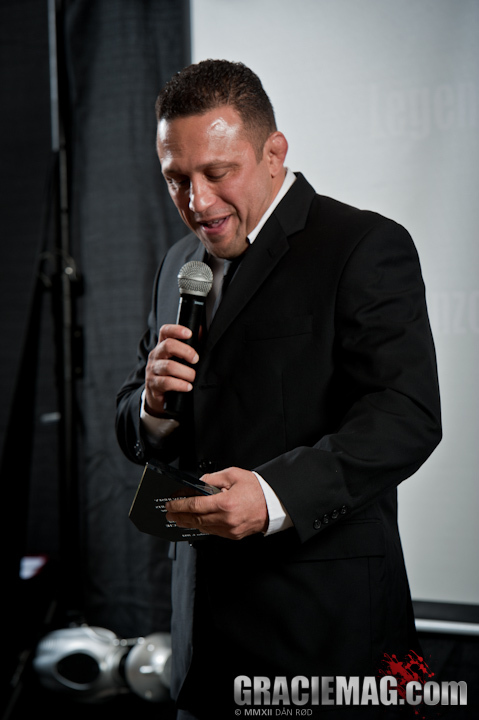 He said [some more words] and now it’s gonna end up here giving you this award” and the first thing that came to my mind was “I know where it began – I was five years old when I had my first experience training Jiu-Jitsu in the gym and I know that is not over yet. It’s not gonna end it yet.” This next year I am fighting again, you know? So they are giving a legend award, that they are supposed to give to old people, to a young boy who’s gonna be banging again next year! So, when is your fight next year? I hope soon. I am already in shape and ready to go, man. I can’t wait! I can’t wait to setup a date! Soon it will be announced. You didn’t get this award for nothing. You came here to the United States and almost every single guy that was there on the podium today mentioned your contribution to MMA not only in N.J., but in the whole country of the United States. So, how do you feel yourself about this contribution and how hard was the road to get here? Here’s the beauty, I had an extremely good tool which was Jiu-Jitsu. It was easy to touch so many souls having such an efficient tool. Jiu-Jitsu was what really made me what I am. I am Jiu-Jitsu and I think Jiu-Jitsu is me. If you pull one out the other I don’t believe either will be the same. And I can prove that tonight. I have been in Jersey for 18 years and every soul that I touched was here tonight, receiving an award. 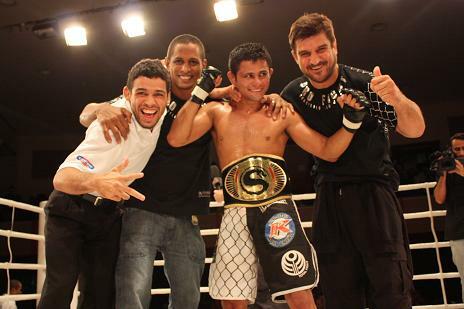 So, this shows the good work Jiu-Jitsu did. Guys that I had the chance to take under my tutelage, to teach them, that I had the privilege to be the mentor, to guide them, to see them receive an award is better than I was receiving myself.